I used to drive to Buford Hwy for quality Vietnamese, which, depending on traffic, could be quite a chore. Thanks to Guy Wong and the team at Le Fat, this is no longer necessary upon every craving! The restaurant itself is beautiful and transports its guests to a colonial era Vietnam, complete with a take out bakery. 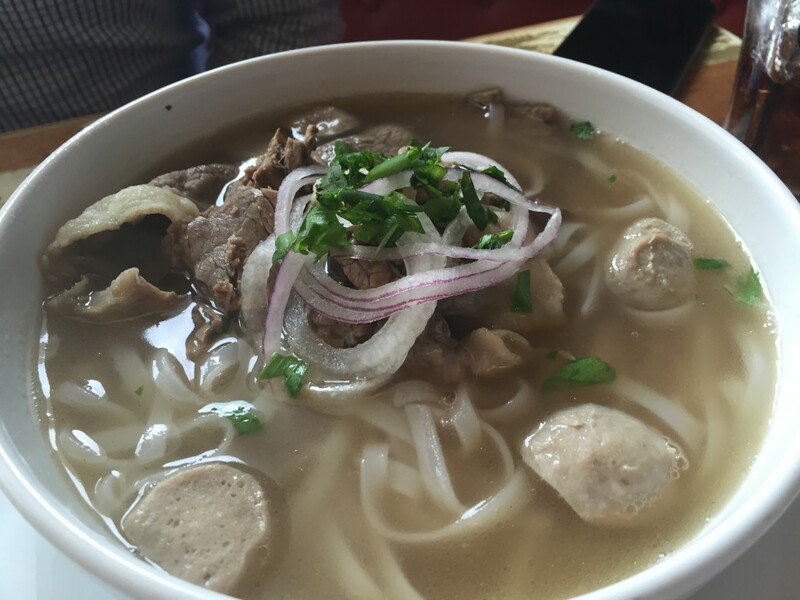 The menu has a nice mix of traditional Vietnamese selections like bahn mi sandwiches, spring rolls, Bon Bu Hue, and of course the ubiquitous pho. 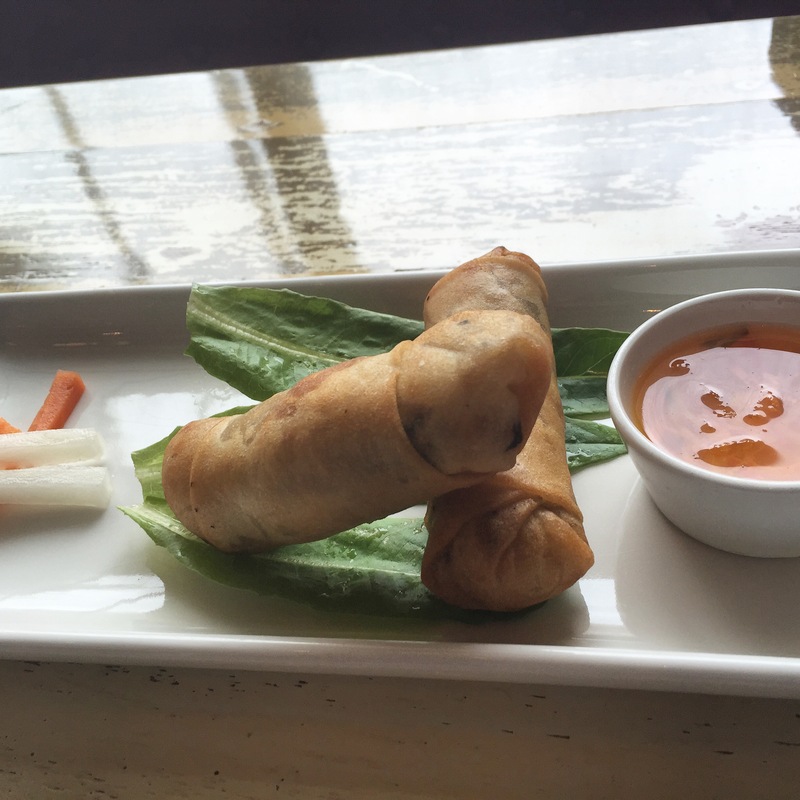 What better way to start a meal than with a fresh order of spring rolls! I can never get my wrap that tight! 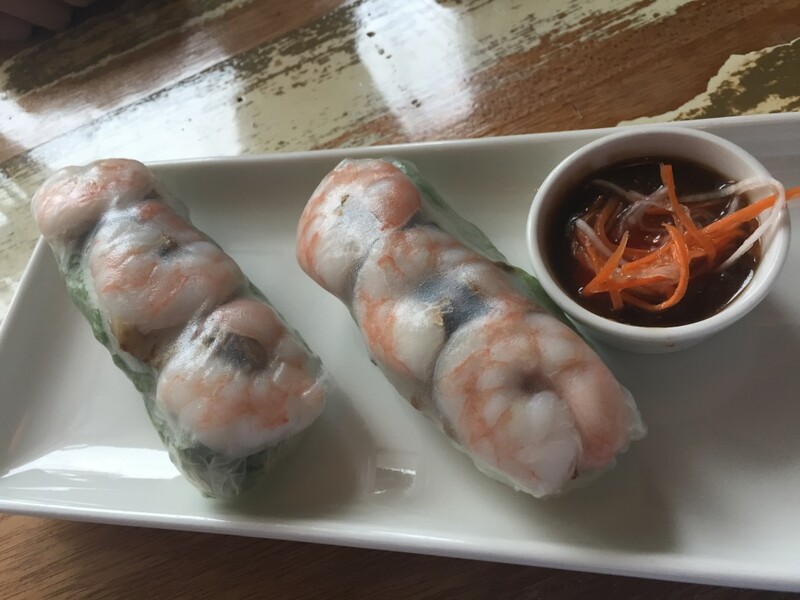 Spring rolls w/ shrimp, pork, herbs and noodles! On this visit, we stuck to the soups (no disrespect intended), and were not disappointed. 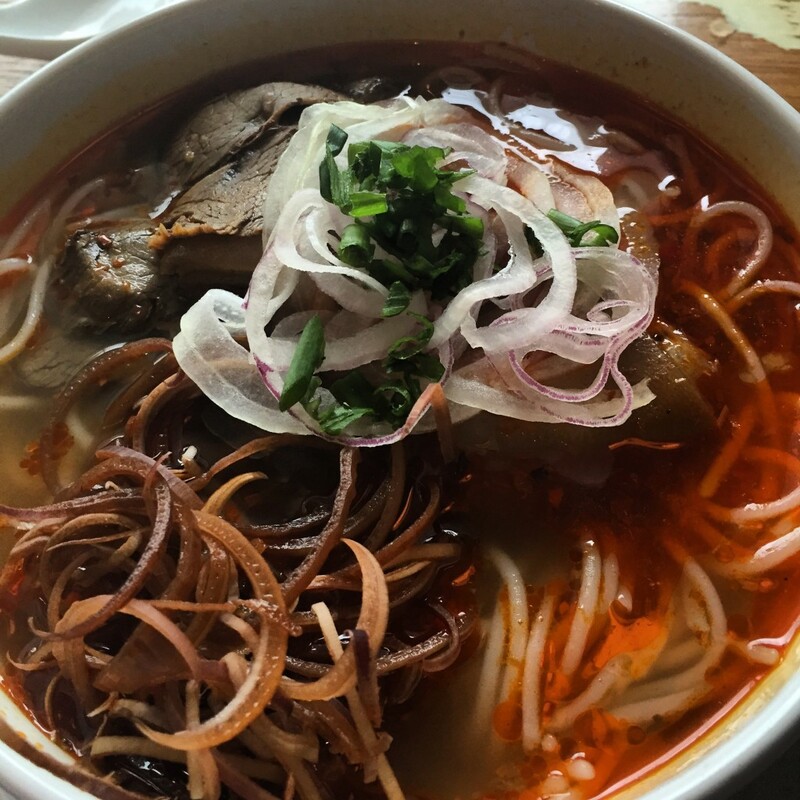 The Bun Bo Hue was everything I hoped it would be; silky, spicy, sour and fragrant! Due to the location (West Midtown) I thought they would try to “Americanize” a dish like this for a softer palate, but it was just as good as any I’ve had at Pho Dai Loi 2, or Nam Phuong; the beef shank and ham hock were even hiding at the bottom of the bowl like two friends bearing gifts of flavor! Up next was the pho, and it too had a rich, and intense broth and was filled with treats like brisket and a pretty tasty meatball of unknown origin. We really liked Le Fat, and have sine been back for dinner; pro tip – if you go for lunch the pho and bon bo hue are a few dollars cheaper.